Israel will not send a delegation to Egypt for talks aimed at striking a ceasefire in the Gaza Strip, a senior Israeli official said Saturday. "There's no point in promoting an agreement," the official told Israeli daily Haaretz. The official said that Israel will end its military operations in the Gaza Strip when deterrence is restored. "We're not talking about cease-fires anymore," he said. 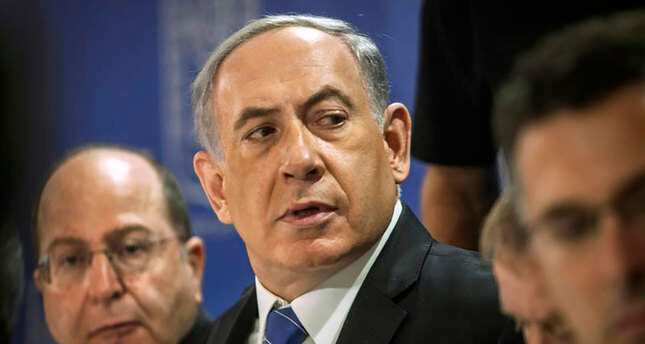 "Israel will act in its own interest. We will take action against attacks from Gaza, and will finish dealing with the tunnels." Earlier Saturday, senior Hamas leader Moussa Abu Marzook said that a Palestinian delegation to the talks will arrive in Cairo on Sunday. "The delegation will arrive in Cairo to participate in negotiations which should have started on Friday," Mousa Abu Marzook, a Cairo-based member of Hamas' political bureau, told Anadolu Agency. "The delegation will present the demands of the Palestinian people and factions during the talks in Cairo," Marzook added. Two weeks ago, Palestinian factions announced six preconditions for a ceasefire with Israel, including an end to the years-long Israeli siege, the opening of Rafah border crossing with Egypt and the release of hundreds of Palestinian prisoners who have been detained in a recent Israeli mass arrest campaign in the West Bank. Gaza-based Palestinian factions have initially rejected a ceasefire proposal by Cairo some two weeks ago, saying the proposal "did not meet the demands of the Palestinian resistance" and that Cairo has not contacted any movement in Gaza before announcing the offer. At least 1650 mostly civilian Palestinians have been killed and nearly 9000 others injured in relentless Israeli attacks on the blockaded territory since July 7, according to Palestinian medics. Gaza-based Palestinian factions, meanwhile, have continued to fire rockets at Israeli cities in response to the ongoing Israeli attacks. According to Israeli figures, at least 63 Israeli soldiers were killed in battles with Palestinian fighters in Gaza and three civilians by rocket fire. A 72-hour humanitarian ceasefire in the Gaza Strip collapsed on Friday after Israel accused Hamas of abducting a soldier in the southern city of Rafah. The Palestinian movement, however, has denied any role in abducting the Israeli soldier.